Ever Had Your Ebook On Free Promo? UPDATE: Jan.2014. Not free now but ridiculously cheap! Writers can’t just write. The days when we weren’t expected to help with publicity are long gone. 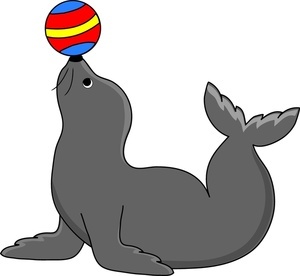 Today we have to balance a ball on our nose and flap our flippers. Not that I like it, but I accept that’s the way it is. So when my publishers, Accent Press, emailed me to say the Kindle edition of my memoir ‘The Dark Threads’ would be going on a 5-day free promo, I thought, okay, how can I help to publicise it?. OMG! How embarrassing it will be if nobody downloads my book when it’s FREE! This was the thought that kick-started me into action. I searched the internet, composed a ‘To Do’ list and allocated a folder for any helpful info. I came across a blog called ‘Reflections of a MadCityScribbler’ where the blogger, Peggy Williams, had written a series of earlier posts about how to have a successful Amazon free giveaway promotion. These pointed me in the right direction and off I went. I looked up various sites that advertise free ebooks. I was too late for some (promo about to begin) and too early for others (wait until it becomes free). To my dismay, I found sites that wouldn’t accept books that hadn’t got at least ten Amazon reviews. That surprised me. I thought people didn’t take much notice when books on Amazon were propped up with an accolade of five-star reviews that might be from anyone who didn’t like to refuse if asked. I have never asked anyone to give me a review. People will just write one if they love my book, won’t they? Or am I naïve? I was appalled to find that reviews can even be bought! What? No, thanks. Genuine reviews only, please. Eager to ‘do something’ I put up an announcement on facebook, twitter and my blog the day before the promo was due to start. Only seconds later, someone kindly reblogged my post and they also announced my forthcoming promo on several facebook pages. Perhaps I should have waited until the day it became free but I was off like a sniffer dog on the scent of drugs. I got up early on the first promo day and eagerly looked up my Kindle pages on Amazon in the UK and US. No, it hadn’t gone free yet. I kept looking and waiting until, at last, there it was. My wonderful book offered free! Come on everybody! I began sending out Twitter notifications to accounts that promote free books and I re-posted on my blog and facebook. A few people kindly did retweets and shares. Some who had read my book posted lovely comments about it. Thank you so much if you happen to read this, you know who you are. Now, let me say that I am very uncomfortable about self-promo. When I posted my promo tweets I kept telling myself that I wasn’t actually selling anything. After all, it was free, and I just wanted to let people know who might be interested. Also, my book does have a message that I need to get across and it’s not just about me. But no matter what I told myself I still felt uneasy and I was convinced that my five-day push at promo would result in a load of unfollows and unfriending. (It didn’t. I gained followers and facebook friends). So you see, despite my recent behaviour that might make you think otherwise, I’m not the kind of person who publicising sits easily with. Far from it, in fact. This sounds more like me: ‘I have a book out that, erm, you might be interested in taking a look at, but, erm, it doesn’t matter if you’re not. It’s, erm, not to everyone’s taste and, erm, well you might not like it, but, erm…” No, I’m not exactly a publicist’s dream. How well was the promo doing? I didn’t have a clue. Hours into the first day and there was still no ranking on the Amazon pages. I feared that meant nobody was ‘buying’ it, though I did get some messages from people saying that they had downloaded it. At last, at 8pm, my ranking started showing as UK 566 and US 1,845. I didn’t know if that was good or bad. When I compared it with the ranking of some other free books, it seemed dismally poor. Not to worry, I told myself, this was only the beginning. The only thing that saved me from sitting at the computer each day obsessively checking my rankings was life getting in the way. I did have other things that I had to do. When I got enough spare time to indulge myself, my computer screen got tired of me and wouldn’t wake up from sleep mode. I did have another screen but it took ages for me to connect it up and get all the wires sorted behind the heavy computer cabinet. When I could look again, my rankings were about 130 in the UK and 800 in the US. My book is a memoir into which I’ve invested a lot of my self. It’s a strange feeling to think that others are reading what were once your own private thoughts and feelings. My life displayed to the world. It’s a wonder I didn’t have that Freudian dream where you’re strolling down the street and then you realise you’ve got no clothes on. None the less, I wanted this promo to do well. So, I think it was on Day 3, I upped my pestering on twitter with staggered tweets saying something to the effect of ‘Author wants to promote her free kindle book, (hopefully) without getting up everyone’s nose.’ After about three of these pathetic, pussyfooting tweets, I cracked. That’s when I tweeted: ‘Oh, sod it! Shameless, blatant promo. Me, Me, Me. Free, Free, Free.’ (which someone retweeted). Beware. 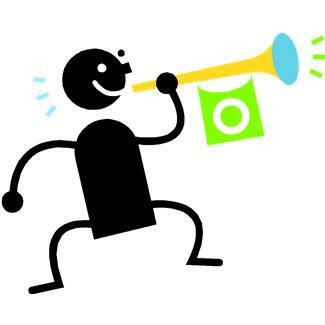 Having a free promo can change your personality (or show a different side of it). It’s over now. Back on paid, my Kindle rankings are still better than they were before. Has the free promo done any good in the long run? Time will tell. Perhaps many of the readers who grab at freebies won’t actually read my book. It might not have been what they were expecting. But I have had positive feedback from readers who only heard about my book from the free promo. If some people enjoyed reading it, if it makes people think, if it helps raise awareness about important issues – this means it’s all worthwhile. Help! Where are my clothes? This entry was posted in Books, Writing and tagged book publicity, facebook, free ebook, free ebook promo, Kindle, memoir, self-promo, twitter by Jean Davison. Bookmark the permalink.